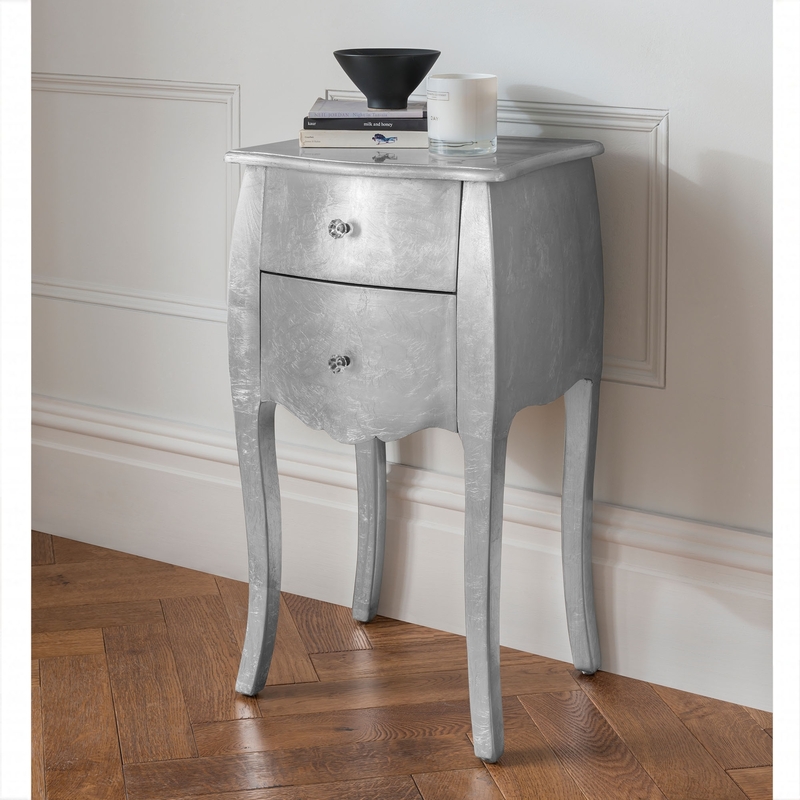 This delightful and ever so practical bedside table is perfect for any French bedroom setting. Finished in silver and featuring two spacious drawers each with decorative crystal handles is perfect to brighten up any bedroom. Handcrafted from natural wood, this stunning French style bedside table combines practicality and elegance giving your home a touch of style in an instant.